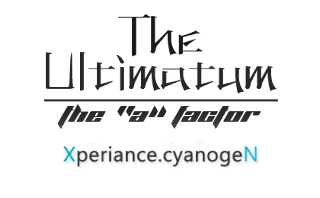 Based on Cm 7.2 ,Built with a sole Objective of Developing a SPEED FREAK Rom.Offer different customization Through different Launchers .Developed By The 'A' Factor . 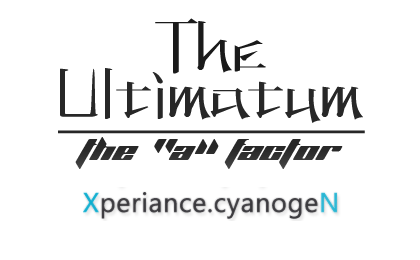 #Download TheUlitmatum(V2.9)[-The'A'Factor].zip or From Here. #Copy the downloaded zip file into your phone. 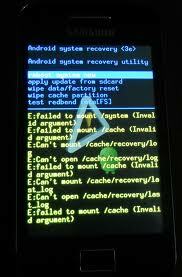 #Turn off your phone and enter in Recovery mode By pressing home key+ power key. #use volume rocker key to scroll down and up and home key to select an option ,power key to go back. #Next step is to wipe cache partition ,scroll down to wipe cache partition and select yes. #Go to advance and select wipe dalvik cache and select yes. Note:- Repeat the above three steps one more time. #After completing the above process go to install zip from sd card ,choose zip from sd card,select the TheUlitmatum(V2.9)[-The'A'Factor].zip that we've copied earlier,and select yes . #Read Carefully all the options carefully , take a look at the Description about each components above and then Choose Accordingly. # After completing the installation go back and select reboot . #congratulation you have successfully installed the ROM .Rom will take approx. 2 to 3 minutes to boot. #During installation you will be asked for the following styles(UI).Chose which style you want. #For other fixes,patches ,tweaks and other stuff Visit the original thread. please let me know the performance of rom ,bugs and other stuff from you by the comments Below. what do i do, my ace get stuck on start galaxy cooper :'( please help. Do the whole procedure again from the beginning. Make sure you have installed the CWM. Follow the instructions carefully and will start fine. Luck. make sure that you device is S5830 only not S5830i or anything else. have got the same problem choose firekernel it work 4 me.